Made from white and black powder-coated steel. 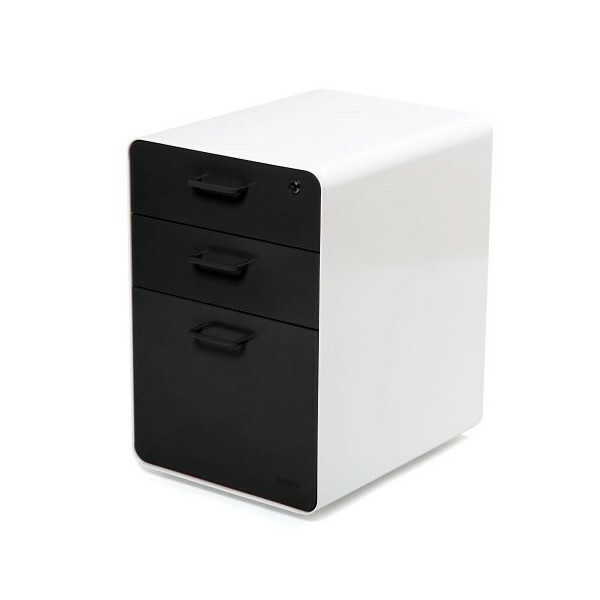 Equipped with 2 utility drawers, adjustable drawer-dividers and hanging-file drawer for letter or legal-sized paper. One lock secures all 3 drawers. Includes 2 keys.